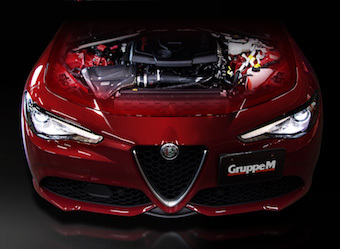 Romeo “Giulia.” The Romeo Ram Air Intake system improves the efficiency and maximizes the use of air in the Giulia tri-lobe duct system, lowering the air intake temperature and increasing airflow efficiency. 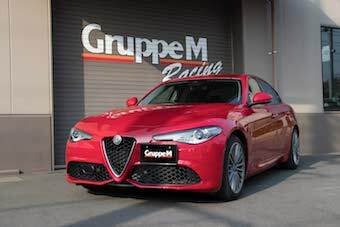 Our Giulia Ram Air System delivers true performance gains and enhances that ear-pleasing “whoosh” sound, drivers the world over enjoy. 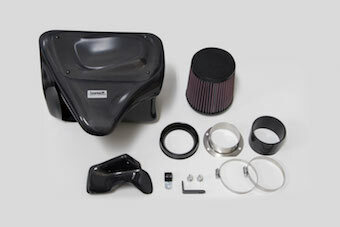 GruppeM intake systems truly combine form, function, and delivers that “joker smile” driving enjoyment. 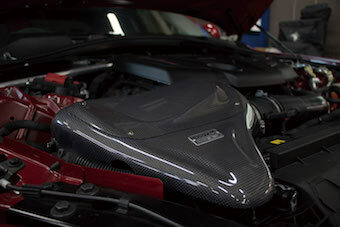 Nothing says "bring it" more than our tried and tested technology and advanced engineering Ram Air System. All GruppeM products are made in-house and produced from the highest quality carbon fiber and materials at our HQ in Japan.